David was named PGG Wrightson Real Estate, Rural Rookie of the Year 2018 and the Real Estate Institute of New Zealand’s 2018 Rural Rising Star of the Year. Dave Heffernan comes from a farming background and has been farming since 1992, and in North Otago from 2004 onwards. Dave also has a passion for horse breeding and racing. After completing a Diploma in Agriculture at Lincoln University in 1986, then working for three years on a horse stud, Dave pursued a career in farming. This involved dairy grazing, dairy farming, sharemilking, sheep and beef, and cropping. Dave is currently farming a 130ha irrigated property with his wife, Rebecca, and two young sons, Levi and Stirling. 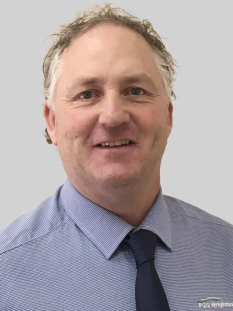 Dave’s knowledge and experience in different farming types and his desire to achieve results ensure he is well placed to help with your real estate needs.